The Sheerline 950 are built to owners specification and custom built for each owner, making them vary tremendously in their fit out. 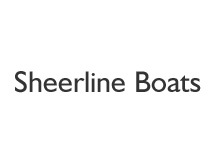 The Sheerline 950 is in production to date. The 950 is Sheerlines most popular model designed by Andrew Wolstenhome. The range of models covers a number of configurations including the 950 aft cockpit and the 950 centre cockpit which has a sliding roof they also come as tri cab version. The Sheerline aft cockpit standard version offers 5 berths in 3 separate cabins. The forward cabin has a double berth and wardrobe. 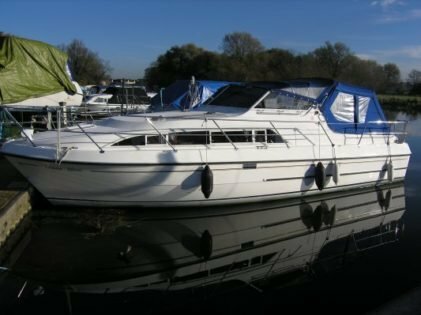 The saloon has a dinette area which converts to a double berth with a large galley opposite on the port side. Starboard side is a generous toilet compartment which is fitted with a shower and vanity unit. The third rear cabin has a single berth aft of the galley. The Tricab model has a rear cabin with a double berth aft of the galley. The large spacious cockpit has helm seats port and starboard and U shaped seating around the stern. The hull is designed for either river or estuary cruising and with the larger engine option they are capable of cruising coastal waters.